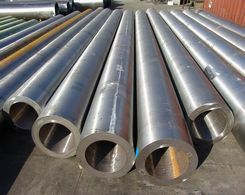 Steel pipes are used in variety ways both for commercial and personal use. How to clean steel pipe is a serious question of the processes. Cleaning a steel pipe divide in a three part. Clean must include both the inside and the outside of the pipe. After that, finish the process by polishing the steel pipe to make it shine. After the three part cleaning pipeline can be used and welded steel pipe through this process. 1. Let water run through the inside of the pipe. If the pipe is small enough, that can be done in a sink. Use a water hose outside to push water out if the pipe is too big to fit in the sink. 2. Tilt and twist the pipe. Tilt it while the water flows fast. Then twist it in order to let the water cleans off the sides of the pipe. 3. Use a scrub brush saturated with soapy water to scrub the inside of the pipe. Most time the pipe is too narrow to fit our hands though, use a baby bottle brush to clean the inside. 4. Rinse the steel pipe with clean water, and let it inside to dry. 5. Put a soft cloth soaked in white vinegar and wipe the outside of the pipe with the cloth. Then rinse the outside of the pipe with warm soapy water. 6. Soak paper towels in detergent and clean the outside of the pipe with it. The detergent will make the pipe shine clean and liked new. 7. Spray a cloth with water displacing formula and use it wipe the pipe down. The formula will not only clean the steel pipe, but also will help in protecting the steel pipe from future marks. 8. Spray a small amount of metal polish to a microfiber rag. 9. Rub the microfiber rag gently across the surface of the pipe to distribute the polish evenly. Make sure the polish does not get too thick on the pipe. 10. Use a clean small cloth to work off any excess polish which the surface of the pipe gently. 11. Buff the surface of the steel pipe and allow it to dry. Prev:What is the Black Steel? Next:What Is the Pipe Reducer?